The free speech debate rages in Australia and worldwide in the light of the terrorist attacks in France last week where 17 people lost their lives. In the aftermath of the attacks world leaders joined two million people who marched through Paris in support of peace and freedom of expression. In the New Statesman, Mehdi Hassan writes that as a Muslim, he is fed up with the hypocrisy of the free speech fundamentalists and ponders how we are expected to denounce a handful of extremists as an existential threat to free speech while turning a blind eye to the much bigger threat to it, posed by our elected leaders. For among the world leaders in Paris this week was Barack Obama and it was he who demanded that Yemen keep the anti-drone journalist Abdulelah Haider Shaye behind bars, after he was convicted on “terrorism-related charges” in a kangaroo court. Also attending the “unity rally” was Benjamin Netanyahu, the prime minister of a country that was responsible for the killing of seven journalists in Gaza in 2014. 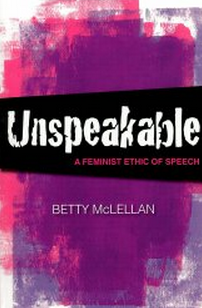 In Unspeakable : A Feminist Ethic of Speech, feminist activist, ethicist, and author Betty McLellan writes that for free speech to have any credibility as one of the important principles underpinning democracy, free speech must be for all. But free speech historically was never intended to be for all. It was meant for the elite, for men, men of the dominant race, men who were educated, men who enjoyed some standing in the community. 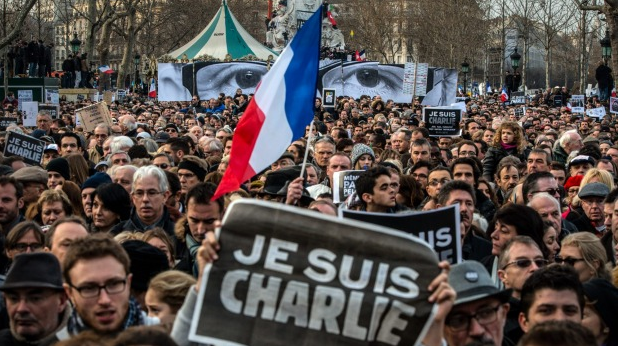 Charlie Hebdo’s cartoons are described by Hassan as ‘lampooning racism by reproducing brazenly racist imagery’. He is scathing of the magazine’s ‘crude caricatures of bulbous-nosed Arabs that he states must make Edward Said turn in his grave’. In Unspeakable, Betty McLellan writes: In this neoliberal, capitalist, globalised, male-dominated, violent world, speech is free only to those who enjoy the privilege and safety of economic and political power. Men at the top of multinational corporations, media corporations and powerful political administrations have ears only for each other’s speech. Calls for ‘bolstering’ free speech in Australia are disturbing: Key government and crossbench senators have renewed demands that the government fulfil its abandoned pre-election promise to wind back protections in the Racial Discrimination Act. It was reassuring to hear Opposition Leader Bill Shorten calling on Senator Bernardi to stop using the Paris attacks to “justify divisive debates in Australia”. We need to challenge the power of these dominant white men for as Betty McLellan says: The freedom of speech guaranteed in statements of equal rights in countries like the United States and Australia was meant only for those belonging to the dominant group.